I watched Israeli PM Benjamin Netanyahu speak before the Congress this morning and then came to my office to study. I have been watching the Solar Flare activity since 2008 because that was the true picture of what would happen in 2012, not the Mayan calendar. 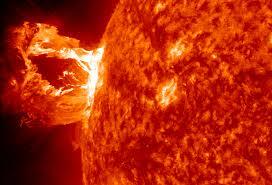 Solar flare cycle 24 was supposed to peak in December 2012, but has far surpassed everyone with its incredible activity. Now the scientists are looking at it because of “global cooling”. The latest was March 3, 2015 at 1:35 UT (Universal Time). That would have been March 2, 2015 8:35 Eastern Time. It takes about 24 to 48 hours or more to reach the earth. Yesterday’s solar flare was the strongest so far of the M-Class, being a M8-Class. Very Strong and very fast reaching to the earth. There were some reported blackouts in Australia and South Pacific areas.